This manifesto was drafted by Dr. W(illiam) B(ernard) Crow (1895 - 1976) in August 1944, and edited and approved by Aleister Crowley as Baphomet X° in August and October 1944 for circulation. Crowley corresponded with Crow from May 1944 through September 1947. Crow's interest in the Liberal Catholic Church led him, in 1943, to be consecrated in the Syrian-Antiochene (Ferrette) succession of episcopi vagantes by the Rt. Rev. James Heard. Crow then, as Mar Basilius Abdullah III, claimed the title of “Sovereign Prince Patriarch of Antioch.” This consecration provided many new opportunities for Crow, and he began to expand his influence. In April 1944, he passed his Apostolic lineage on to Hugh George de Willmott Newman, who then, as Mar Georgius I, claimed the titles of Metropolitan of Glastonbury and Catholicos of the West. Around the time of Newman's consecration, Crow sent Crowley some of his pamphlets, which initiated Crowley's correspondence with him. Crowley, of course, sought to enlist Crow's aid in establishing the Law of Thelema and in promoting O.T.O. and especially E.G.C., and Crow seemed, at least at first, to be interested; although it is unknown whether Crow ever actually became an initiate. There are no surviving records of his initiation, and as late as May 1947, Crowley was suggesting that Crow send his followers to Gerald Gardner to be initiated in O.T.O. Two documents pertaining to Crow's relationship to O.T.O. and E.G.C. have been circulated in recent years by individuals who oppose the current leadership of O.T.O. One of these documents is purported to be Crow's claim to have been duly “elected” as head of the Rites of Memphis and Mizraim and the Oriental Templar Order in 1948, “in accordance with the constitution and regulations” of the Order, and to have relegated these rites to a sub-division of his own Order of Holy Wisdom. This document makes no mention of Aleister Crowley, Theodor Reuss, or Carl Kellner, or of anything pertaining to Thelema. The document advocates a restoration the original doctrines of the Knights Templars, and it eschews affiliation with any Oriental Templar groups that do not adhere to these original doctrines. In his A History of Magic, Witchcraft and Occultism, Crow makes it clear that he does not believe that the original doctrines of the Templars included any teachings regarding sexual magic. Now, Crowley's documented successor as head of O.T.O. was, of course, Karl Germer. Also, the Constitution of O.T.O. does not prescribe election as the mechanism of succession to the office of O.H.O. Furthermore, before Crow's death in 1976, all authority, title, succession, and archives related to the Order of Holy Wisdom was deeded to his successor W.H.H. Newman-Norton, Mar Seraphim, Metropolitan of the British Orthodox Church. According to correspondence with Mar Seraphim's representative in 1995, Mar Seraphim himself makes no claim of any control over Ordo Templi Orientis, and is personally unaware of any claim of Crow to have succeeded Aleister Crowley as O.H.O. of O.T.O. Since Crow never actively asserted any claim to authority in O.T.O. during his lifetime, and evidently passed no such authority on to his successor, the significance of this document, if any, is moot. 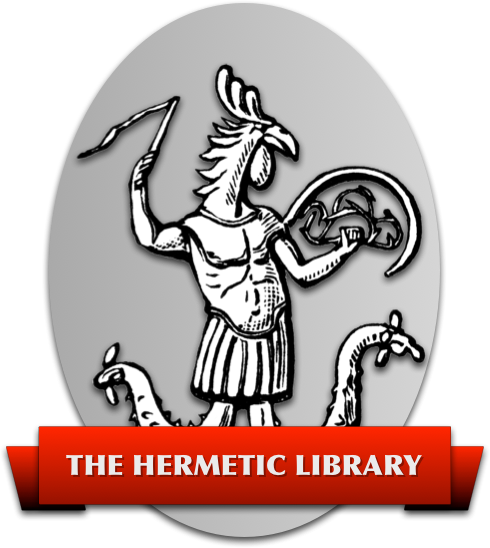 The other document purports to be Aleister Crowley's appointment of Crow as Patriarch of the Thelemic E.G.C., dated August 1944, the same date as the original, rough draft of the Manifesto. This document (which, to my knowledge, is unsigned) contains a number of striking stylistic similarities to Crow's original draft of the Manifesto, but there is no copy of it to be found in the correspondence archive that was made available to O.T.O., nor is there any mention of it, or even any allusion to it, in any of the letters therein, including the two letters from Crowley dated August 1944. The letters in the archive contain considerable discussion of the Manifesto, and one must wonder why such an important document as a Letter of Patriarchal appointment would go completely unmentioned. Even if this document were valid, which is far from certain, it does not include any statement of abdication of supreme authority in E.G.C., nor does it include any indication that the rights bestowed are, in any way, exclusive. It would, therefore, have constituted an appointment of a subordinate, possibly one of several such. Crow never attempted to activate E.G.C. in England, and never attempted to assert control over it elsewhere, so the significance of this document (if any) is as moot as that of the other document. Interestingly, the words “the time has come for High Initiates to administer the Sacraments of the Age of Horus” occur in Crow's alleged Patriarchal appointment document – virtually the same words that Crowley purposely struck from Crow's draft of the manifesto. One can only speculate as to why Crowley would have made this correction in one document but not in the other.